If you are a Samsung or Google fan in the US, and are planning to purchase a new high-end smartphone, you might want to check the deals being offered on the Galaxy S8 and Pixel 2 XL. 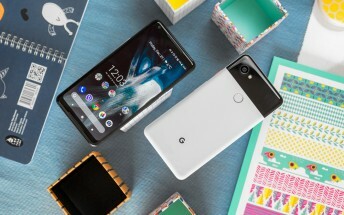 Starting with the Pixel 2 XL, retailer Best Buy is offering the deal that'll save you a total of $400 on your purchase of the device. So as clear from the screenshot above, the $400 discount comes in the form of "$300 in bill credits and $100 instant savings when you buy and activate with a monthly installment plan for Verizon." Oh, and yes, the deal ends today. So act fast. Moving on to the Galaxy S8 promo, it's being offered by Cricket. If you are willing to make a switch, you can grab the flagship handset for $349 (you need to add a matching data plan starting at $30/mo). This deal runs through March 29.